Imagine a trading setup with 99% chance of winning $100 per contract, and 1% chance of losing $100 per contract. I’m sure you agree that it is an excellent trading opportunity by any standard. I’m not sure about you. But I’m tempted to borrow as much money as I can from my family, extended family, friends, friends of friends, and my banker. Not to mention selling off my retirement portfolio and using the highest leverage my broker offers. I’m tempted to enter the market with as many contracts as I can. Yet, this is a temptation that I MUST resist. This is because there is a 1% chance of losing everything. If this loss occurs, it is one that I can never recover from. Not only will my broker and banker be after me, I will find creditors instead of friends. It is a catastrophic loss. This is why your position sizing rule is the most important trading rule. It determines the size of your position. It tells you how many shares, lots, or contracts, to buy or sell for each trade that you put on. Position sizing has two aims. The first is to preserve our capital and avoid any catastrophic loss. Catastrophic losses are those that we will never recover from. This aim takes priority, and we must never risk ruining our trading account. However, if our sole purpose is to preserve our capital, the best solution is not to trade at all. Hence, position sizing has a second aim, which is to maximise our profits. If we trade a size that is too big, we risk going broke. If we trade a size that is too small, we are limiting our potential profits. Thus, we want to find the sweet spot that maximises our profit while protecting our trading capital. What we want to achieve with position sizing is easy to understand. How we do it is the difficult part. Let’s take a look at three position sizing models that try to maximise profit while preventing risk of ruin. The idea is to risk a fixed percentage of your trading capital (for e.g. 2%) for each trade. For instance, based on your stop-loss, the largest loss per contract is $100. You have $50,000 in your trading account. Limit your risk per trade to 2% of your trading capital. Calculate your position size according to the amount you can risk. This is a popular position sizing model because it is easy to understand and simple to put in place. It is also friendly to new traders as it does not need a trading track record (unlike the other two models below). Furthermore, it increases your position size (in absolute terms) as your account grows. Assuming that your trading account is increasing due to your trading skill, your position size depends on how well you trade. 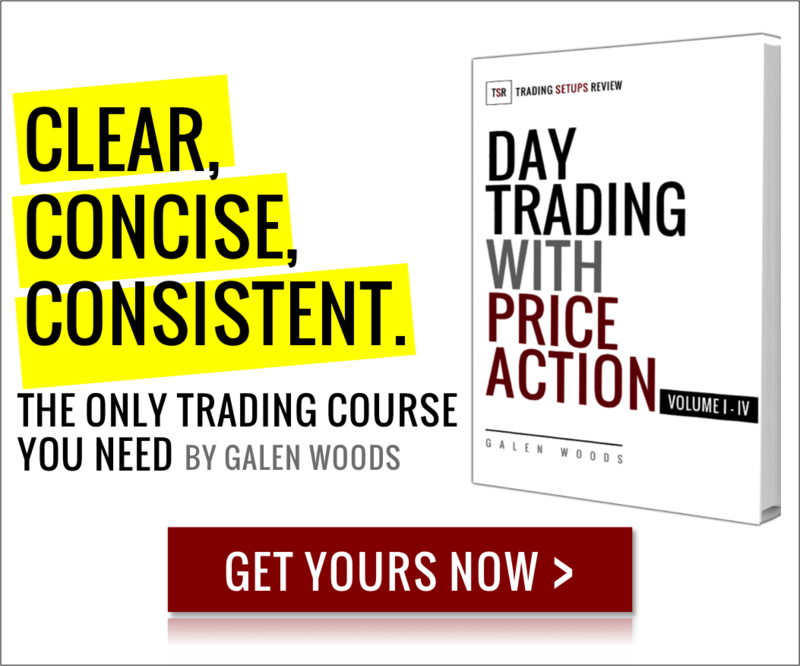 This is a logical link that allows us to earn more as we become better traders. If you look at your trading account equity curve, you see peaks and valleys. The difference between each peak and valley is the draw-down. 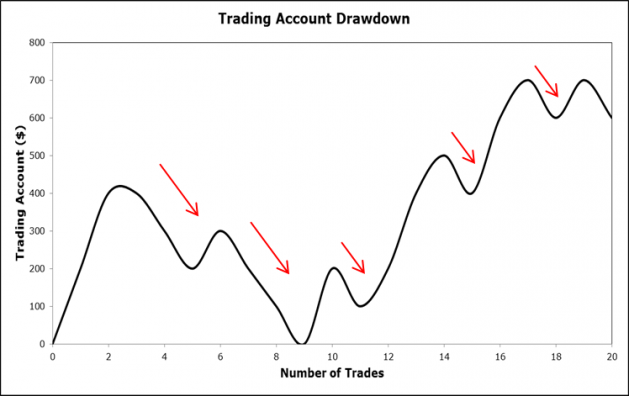 Draw-downs ruin trading accounts. Hence, this position sizing model uses the maximum draw-down to determine how much to risk. The basic idea goes like this. If your largest draw-down per contract is $2,000, you can trade one contract for every $2,000 in your trading account. The key input in this approach is the maximum draw-down per contract. However, the largest draw-down per contract based from your trading records might be underestimated. Hence, there is a need to adjust the maximum draw-down figure. A simple way to do that is to use a multiplier. A large multiplier implies a more conservative approach. As an example, consider the maximum draw-down per contract of $2,000 and a multiplier of 2. In this case, we can trade one contract for every $4,000 (2 x $2,000) in our trading account. The multiplier has effectively halved our position size. This position sizing model focuses on the draw-downs of our trading strategy. Hence, given a reliable maximum draw-down input, it is effective for preventing risk of ruin. 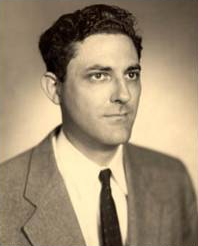 John Kelly, a smart guy, described this criterion more than 60 years ago. The Kelly Criterion computes the optimal size for a series of bets. Both bets and trading positions deal with probabilities. Thus, the Kelly Criterion is a natural candidate for position sizing. With your trading records, you can calculate your winning probability and win/loss ratio easily. Then, plug them into the equation. For instance, you win 40% of the time and your win/loss ratio is 2. Kelly tells you to limit your position size to 10% of your trading equity for each trade. On paper, the Kelly Criterion sounds great. But there is a caveat. The Kelly Criterion is reliable only if the inputs correctly represent the future. We know that the probability and ratio based on our trading records are estimates. Hence, we might have over-estimated them. The consequences of doing so are dire as the resultant Kelly trade size can easily ruin our trading account. Hence, the fractional Kelly is strongly recommended. It refers to taking a fraction of the Kelly trade size. For instance, the half-Kelly sizing model dictates committing 5% (and not 10%) of your equity to one position. Other than the three position sizing models above, there are dozens more options. However, regardless of which one you select, pay attention to the following. First, ensure consistency to avoid “garbage in, garbage out”. Most position sizing models need inputs derived from your trading records. (For e.g. the winning probability and maximum draw-down.) For reliable inputs, use trading records of the same market, time-frame, and trading approach. Next, use common sense when choosing your position sizing model and its inputs. Make sure that it stands a reasonable chance at achieving the dual-aim. Ask yourself these questions. How does this position sizing model prevent risk of ruin? How does this position sizing model maximises my trading profit? If you use a fixed percentage model risking 50% of your equity each time, your account will be down 75% after two consecutive losses. This is suicidal. Finally, a position sizing model is like a trading strategy, there is no perfection. Seeking the perfect position sizing model is not realistic as we do not know the exact market probabilities. The exact position sizing model you use is less important than simply having one that makes sense. Regardless of your choice, you must follow the most important rule in your trading – the position sizing rule. To learn more about various position sizing models, start with these books. No position sizing model works without a trading edge. Looking desperately for a trading edge? Learn the advantage of price itself.